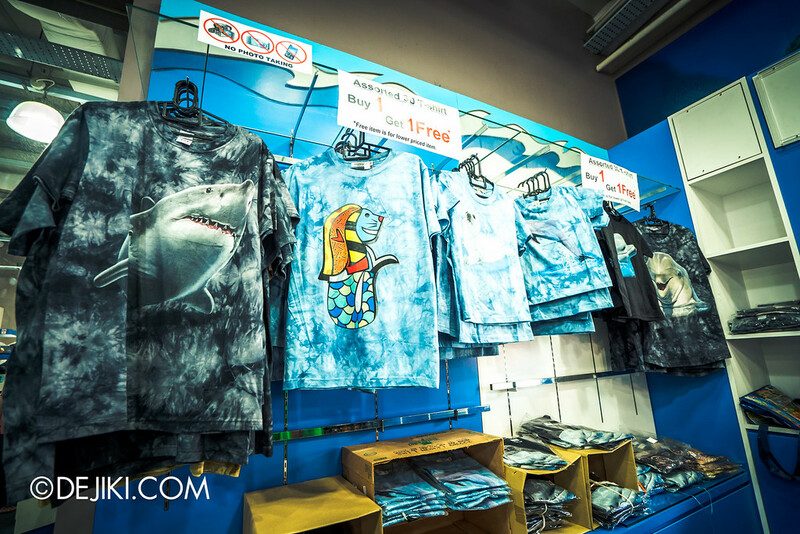 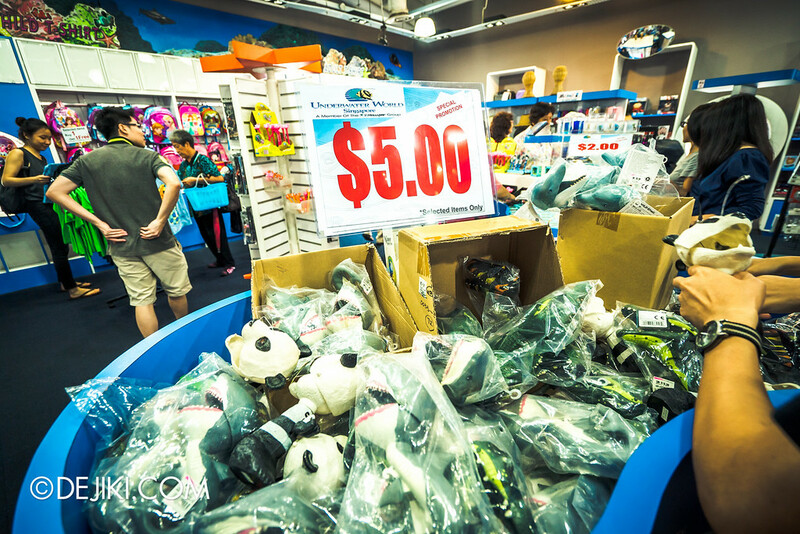 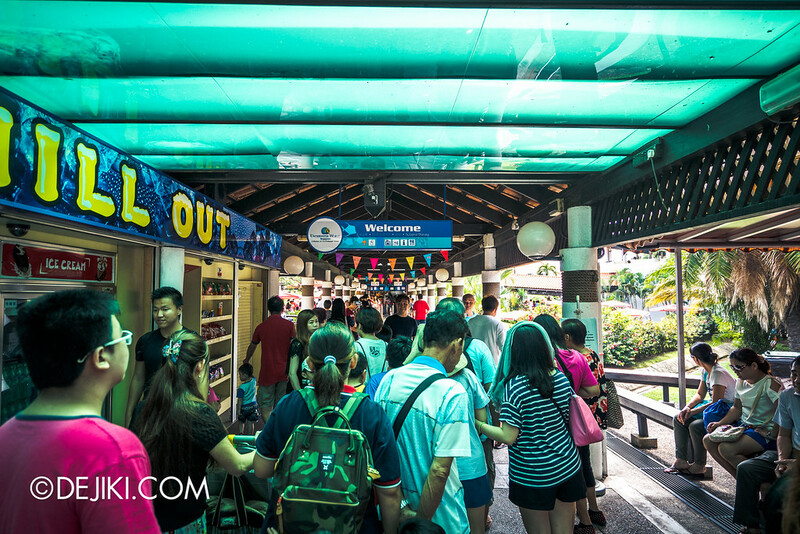 After some 25 years of operations, Underwater World has closed its doors on 27 June 2016. 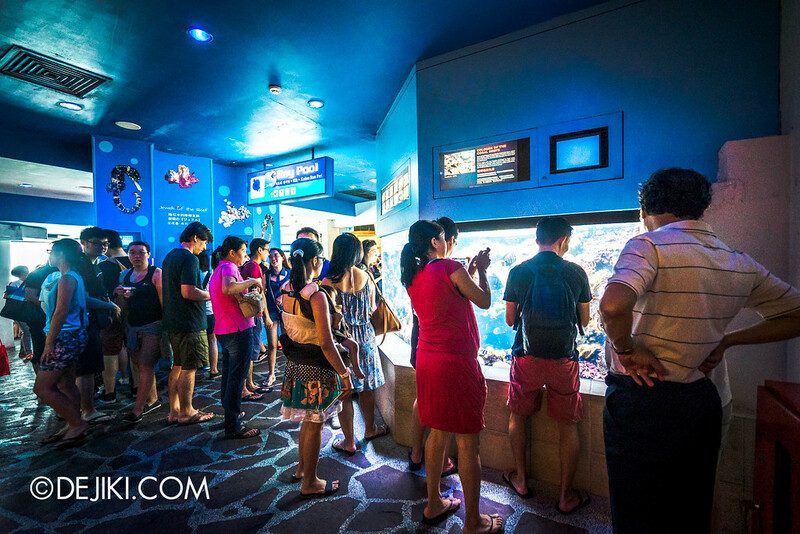 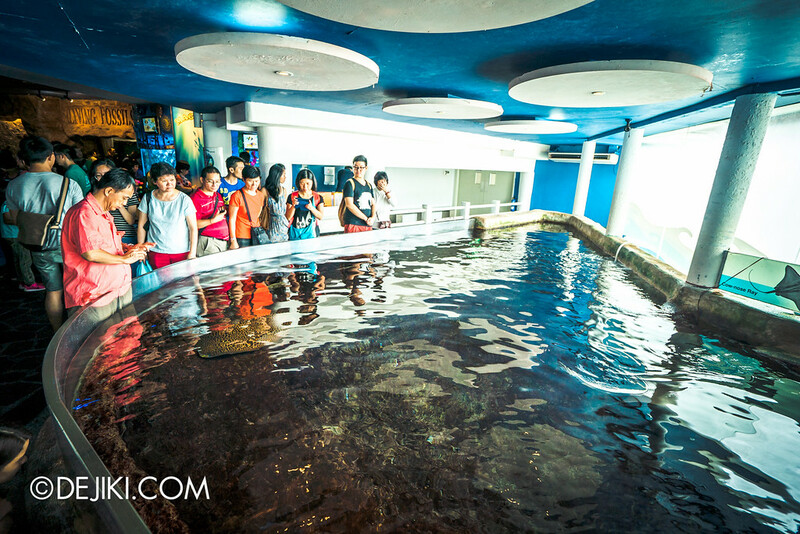 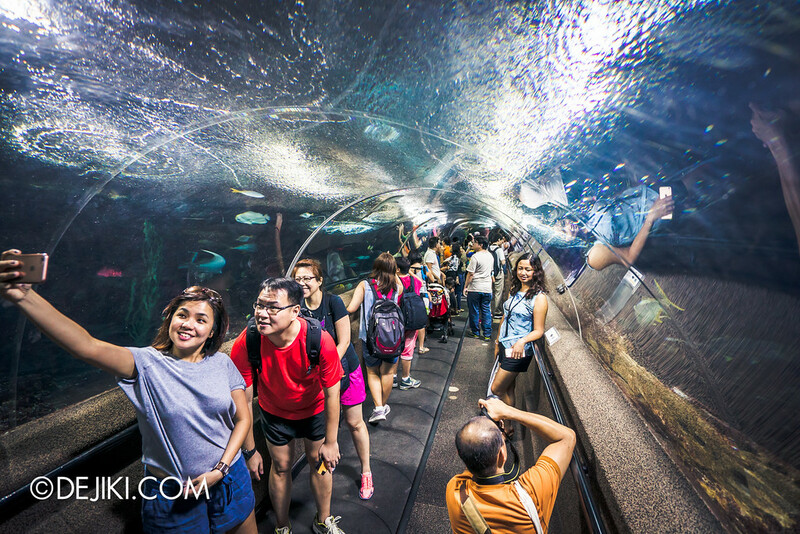 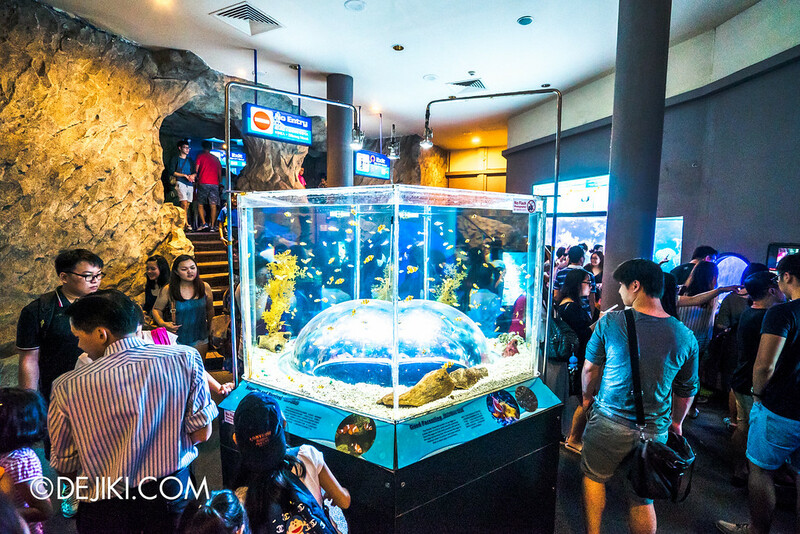 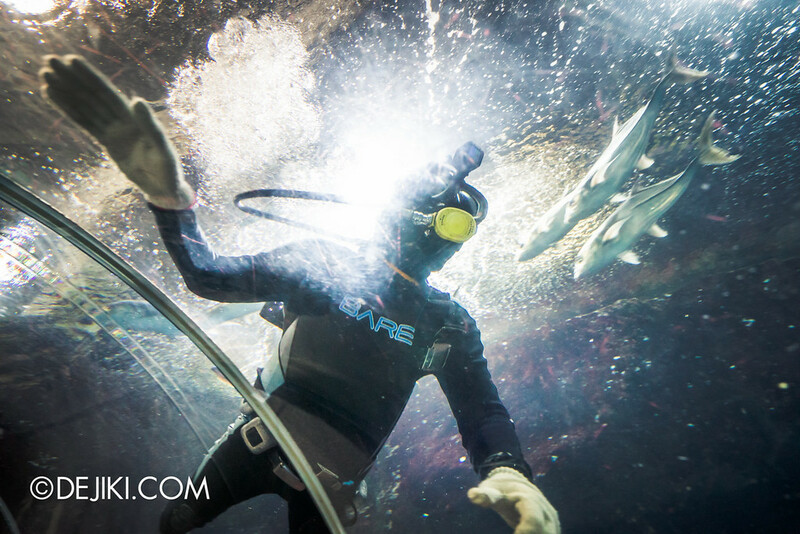 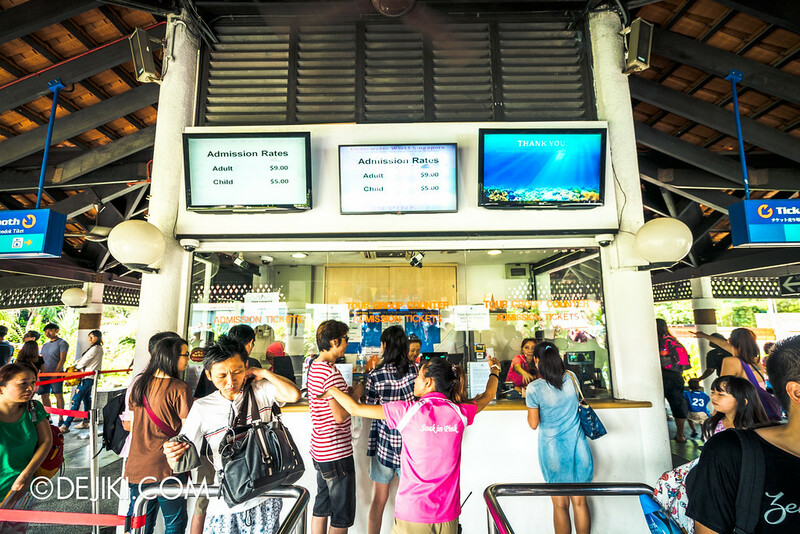 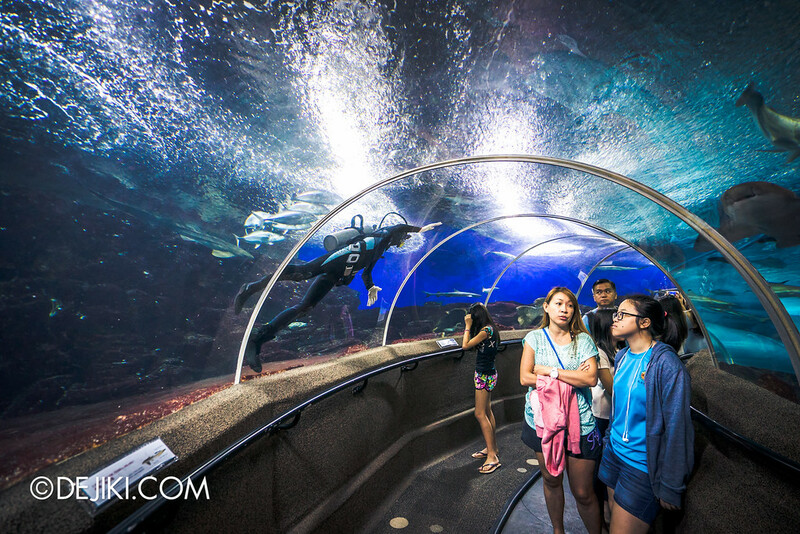 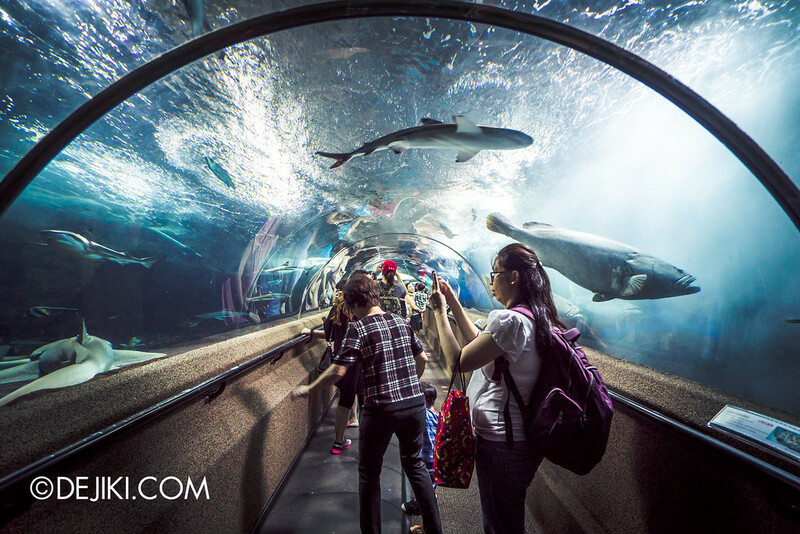 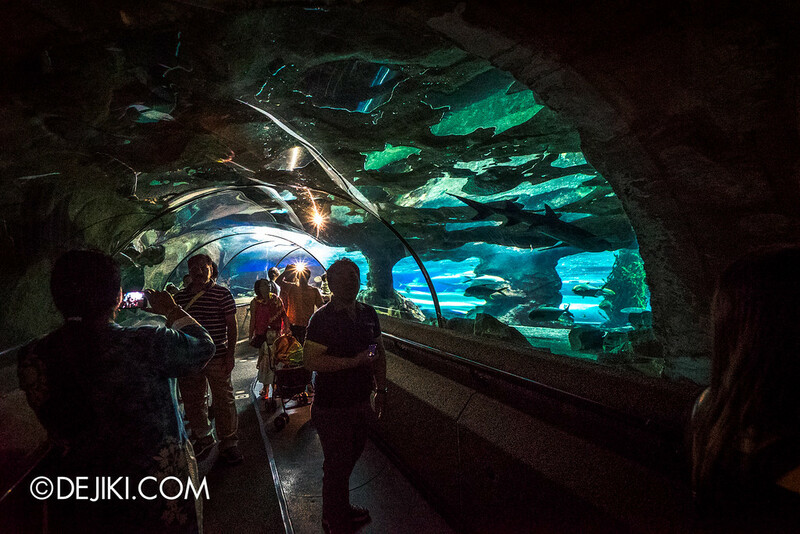 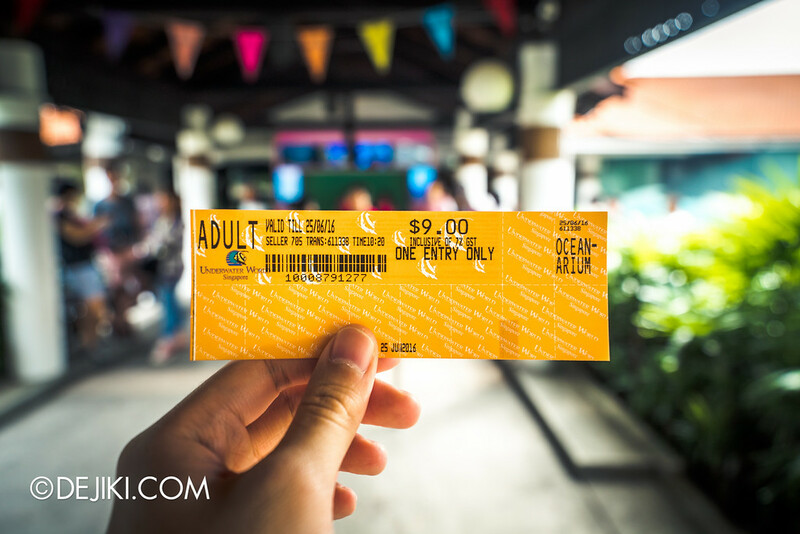 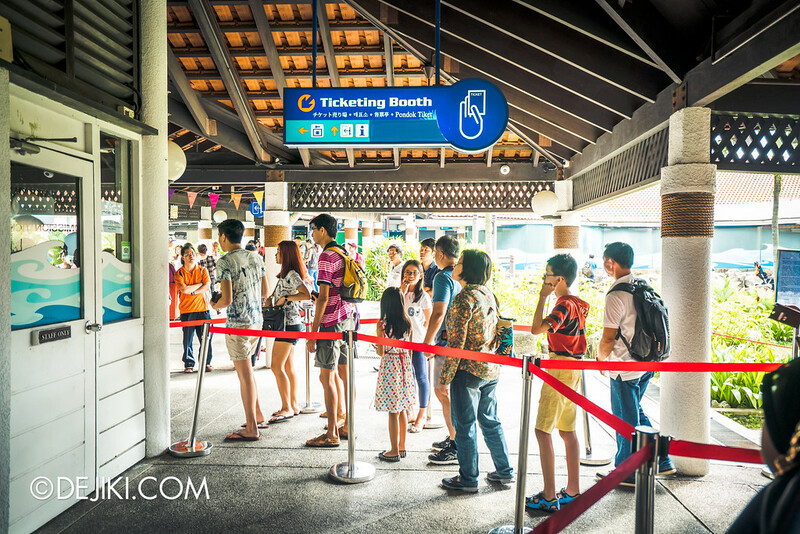 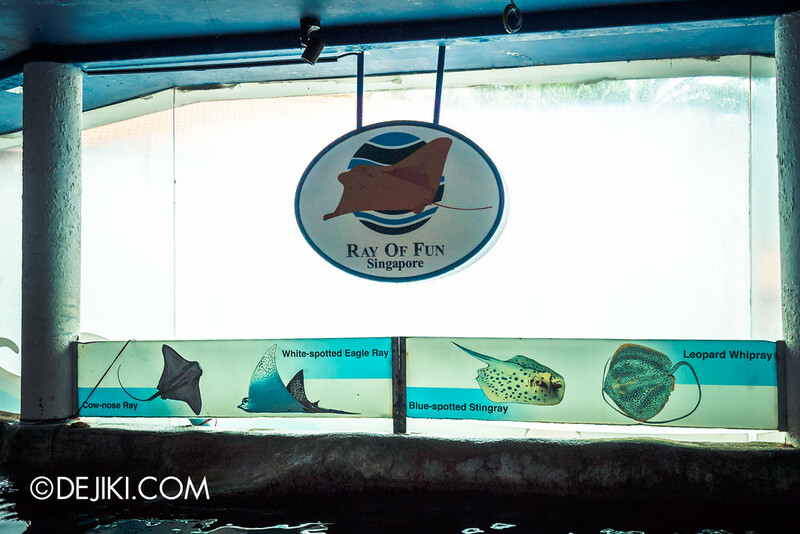 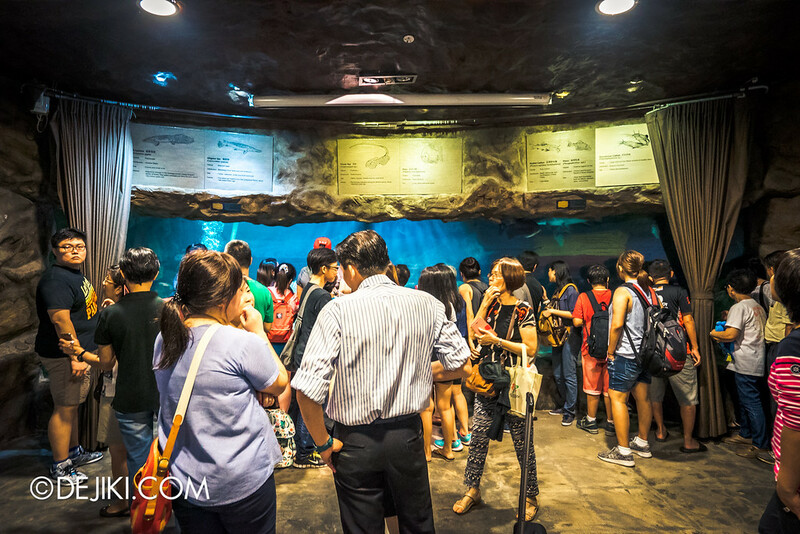 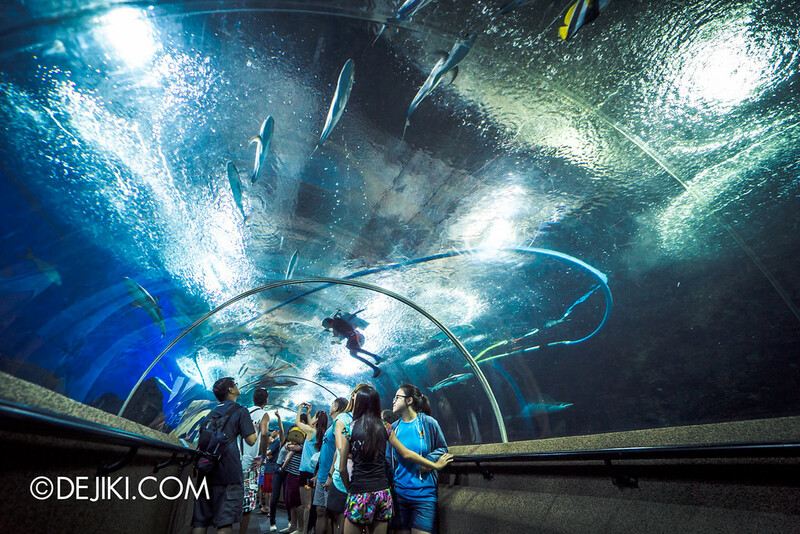 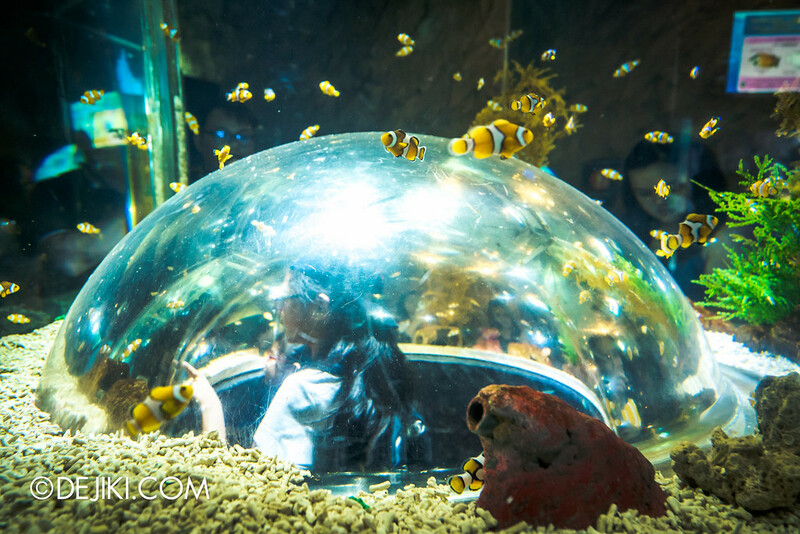 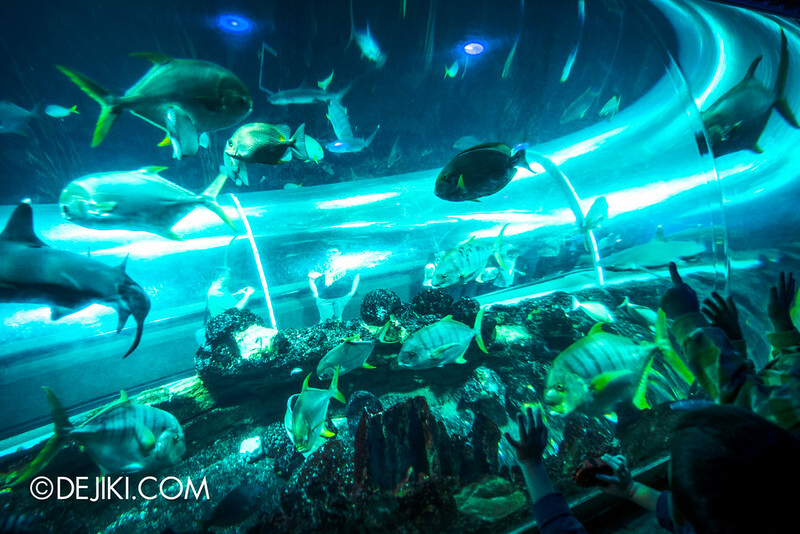 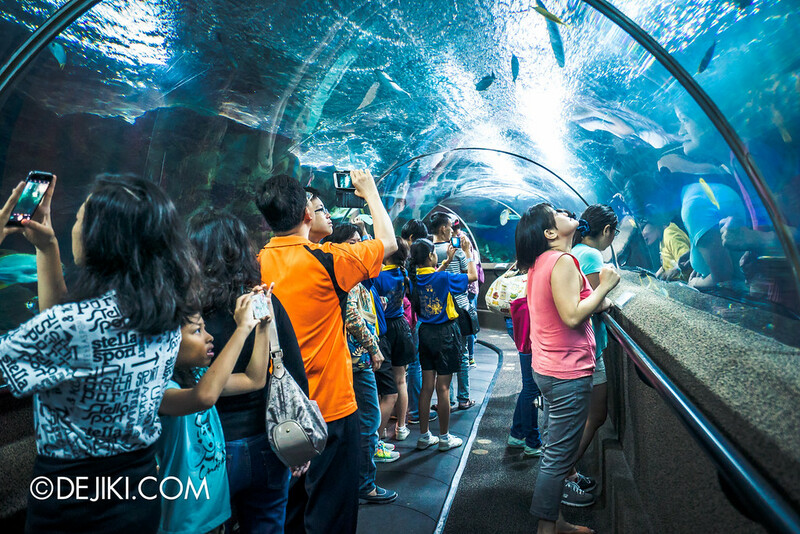 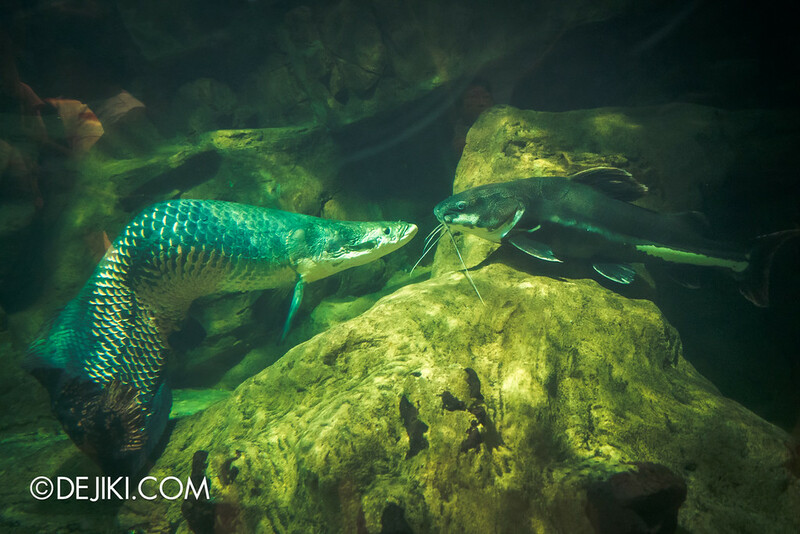 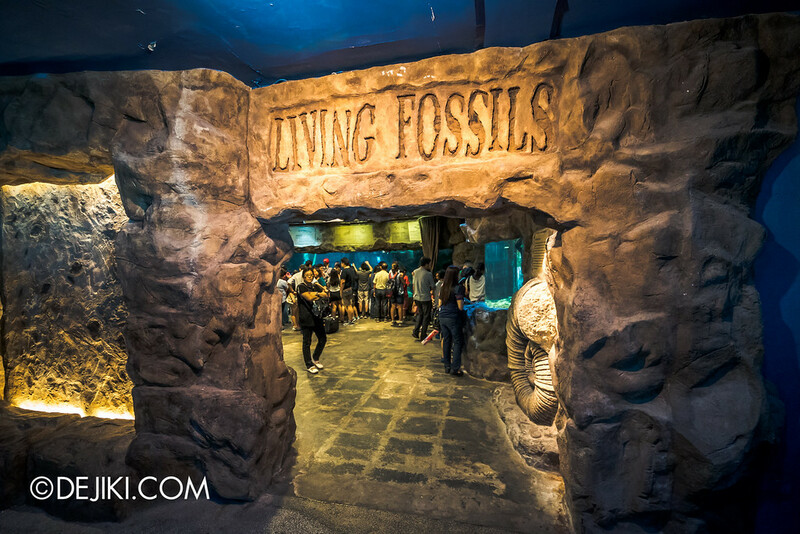 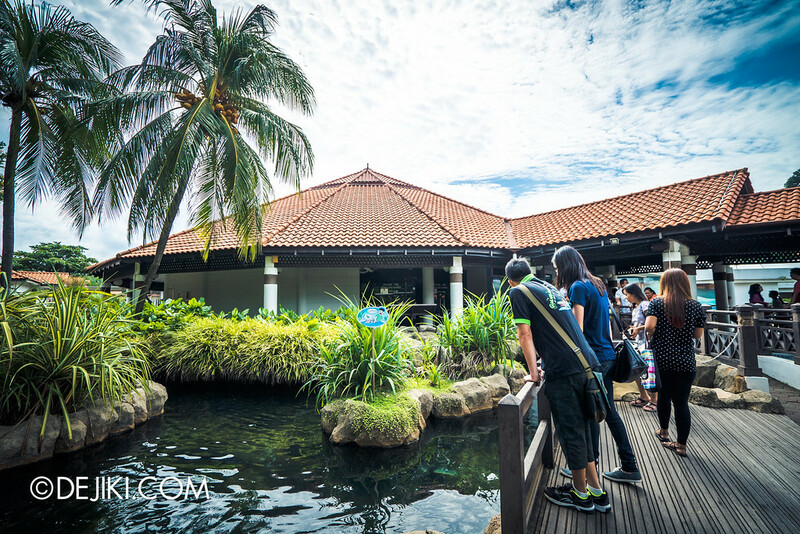 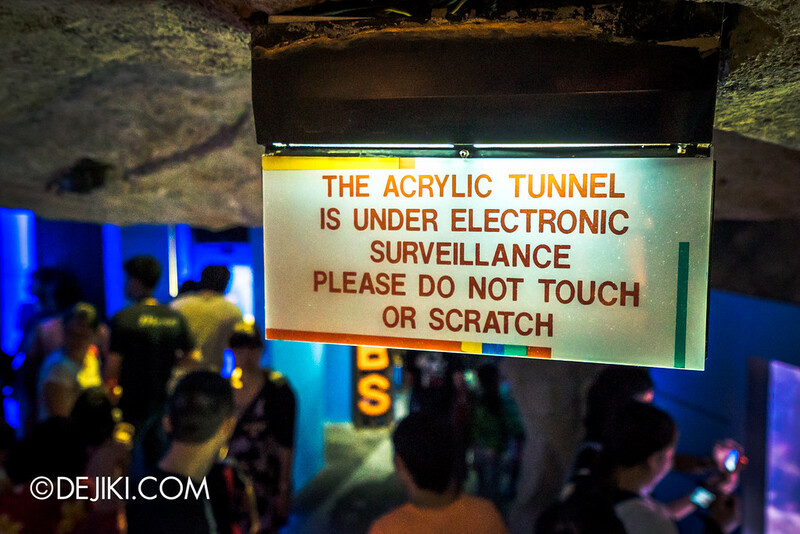 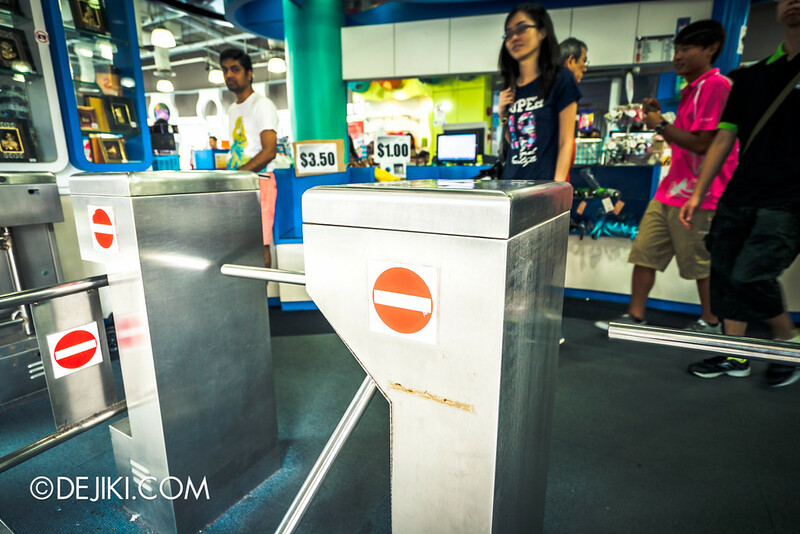 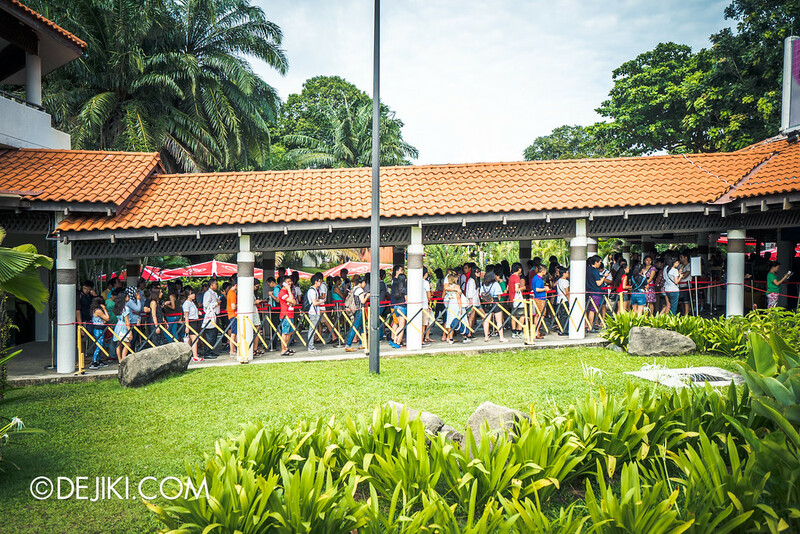 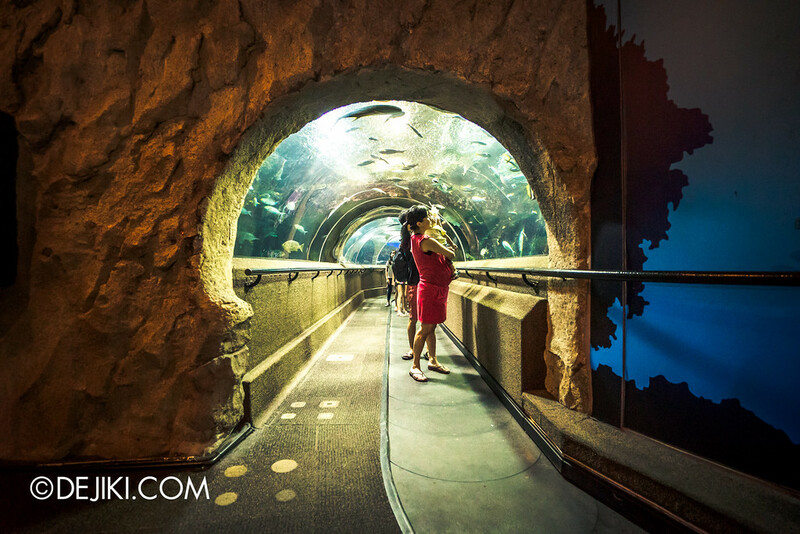 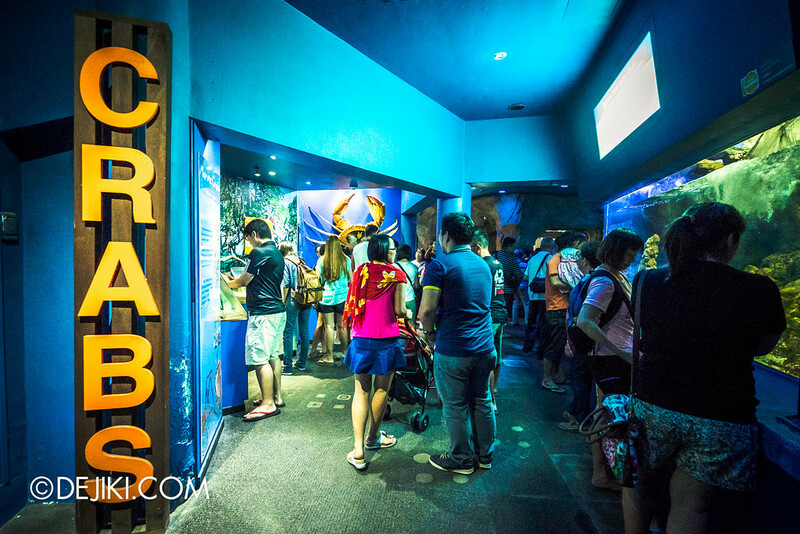 For two decades it was a major attraction on Sentosa Island, as the most well-known aquarium in Singapore. 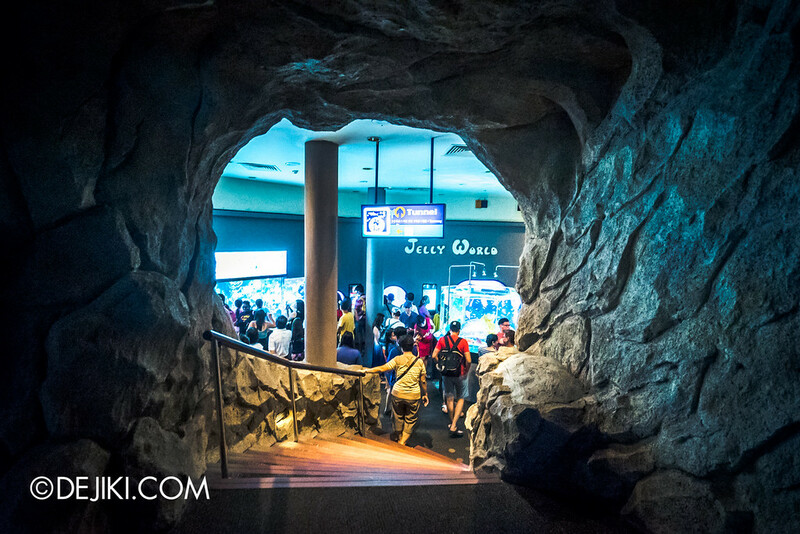 Subsequently, Resorts World Sentosa opened its S.E.A. 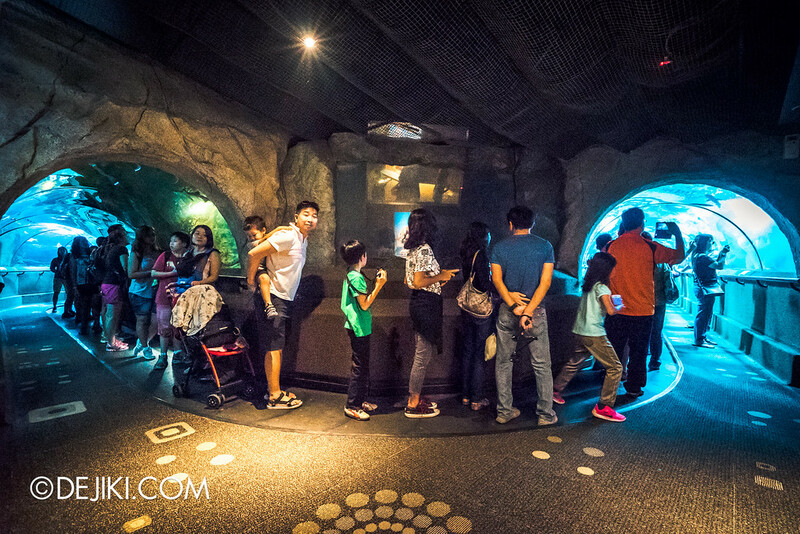 Aquarium (which held the record for being the largest aquarium in the world… for a while) which naturally siphoned quite a lot of visitors from this quiet corner of the island. 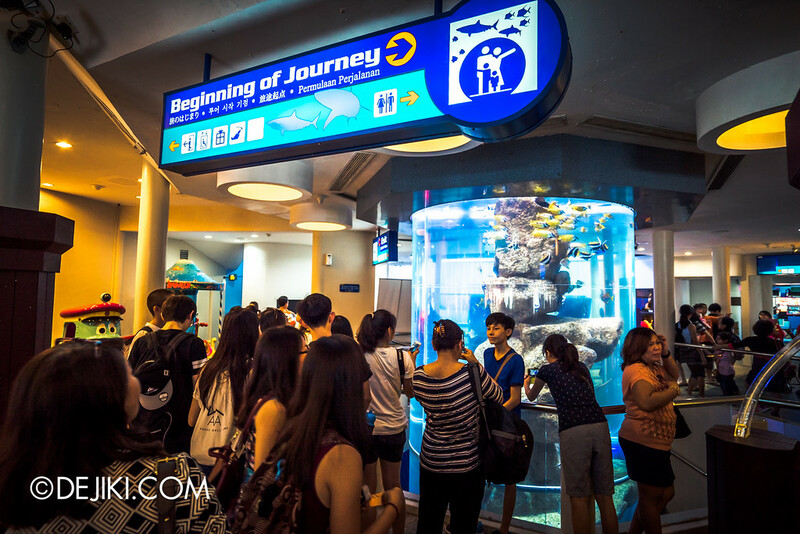 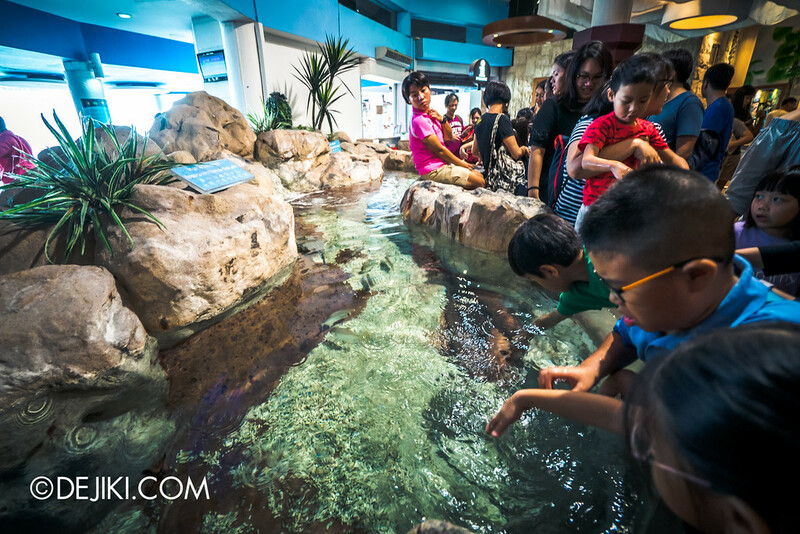 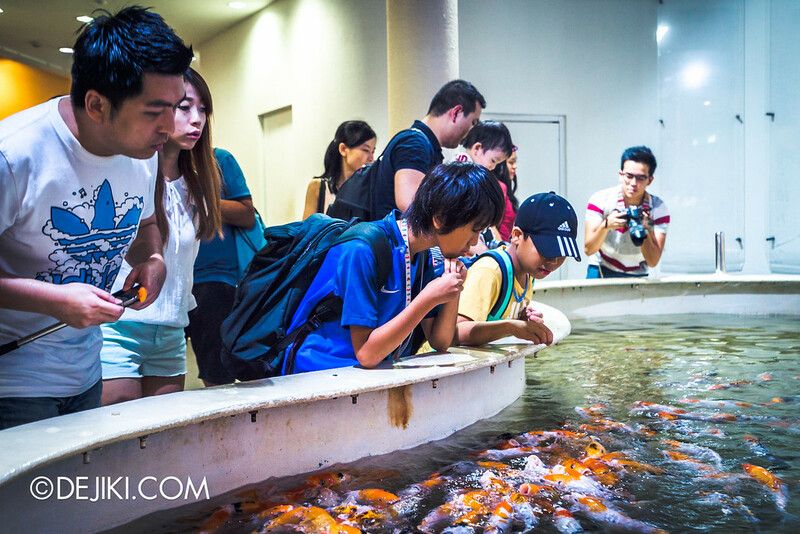 We dropped by on 25 June, the second-last day the aquarium was open to the public. 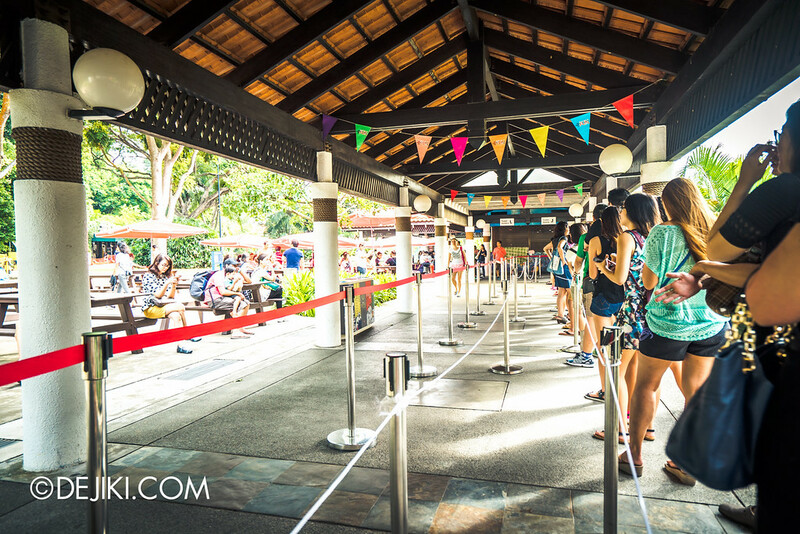 The queues to buy tickets were long – three counters were open but there were just too many people wanting to get the last tour. 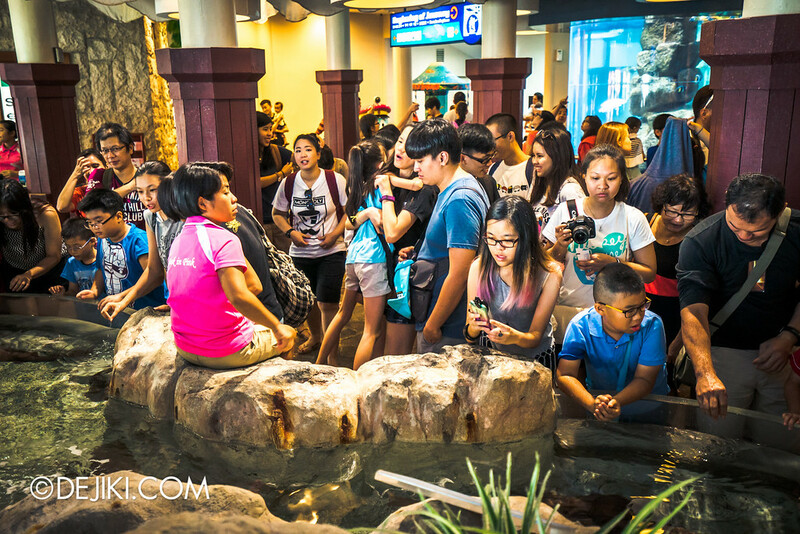 Much chatter on their ‘first visit’, and how outdated the aquarium is. 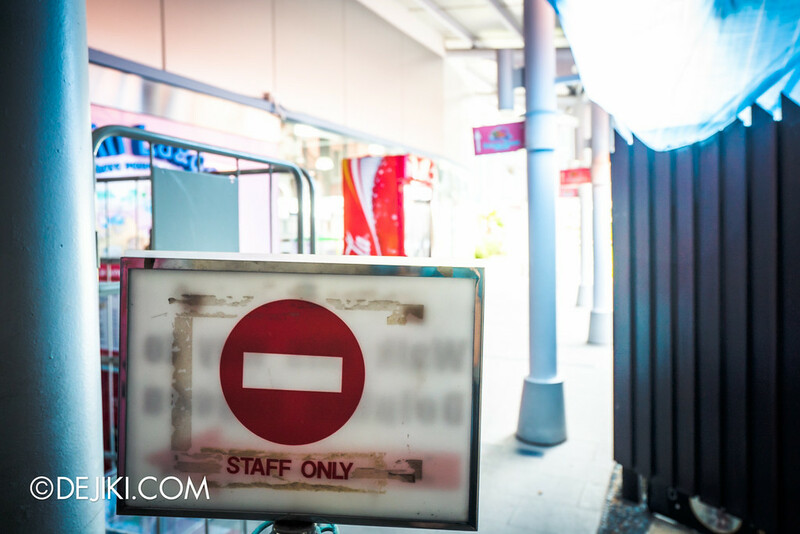 Still, they were there. 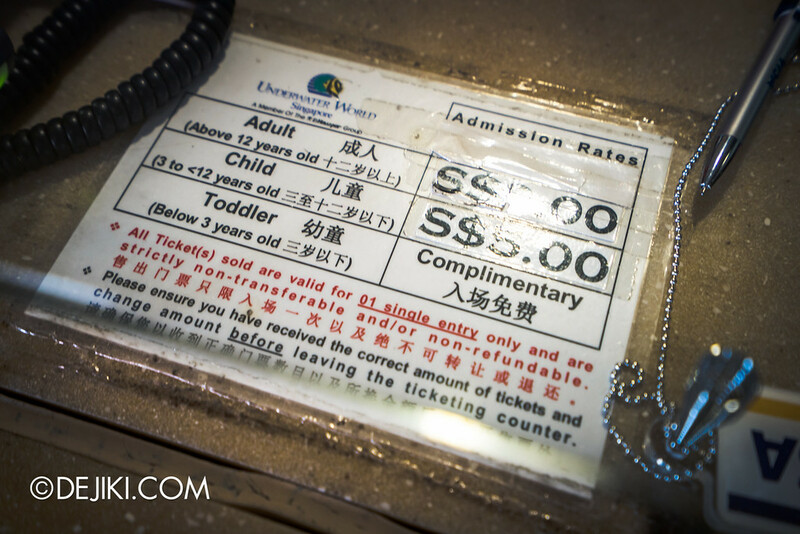 Ticket prices reverted to its original fees in 1991 – $9 and $5 for adult and child. 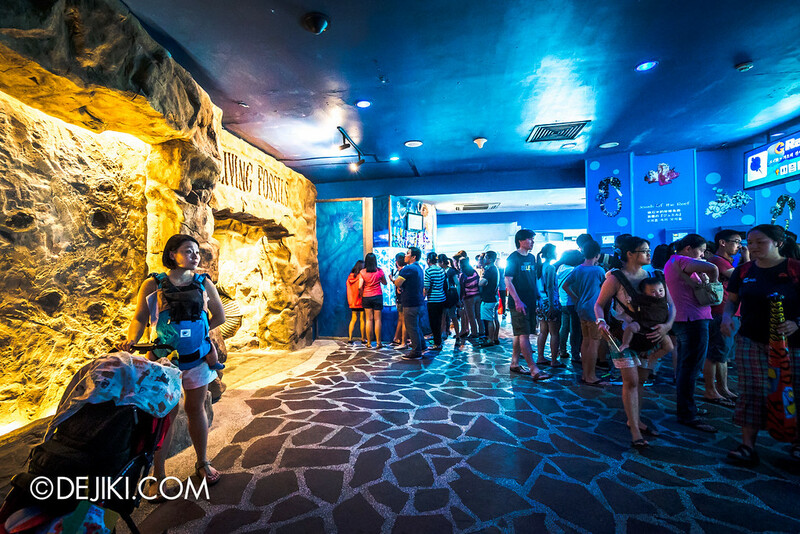 This is perhaps my 3rd or 4th visit to Underwater World. 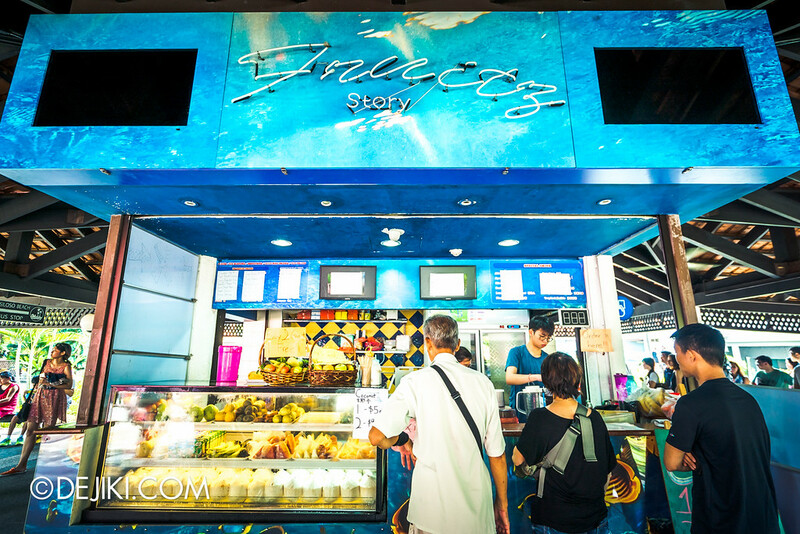 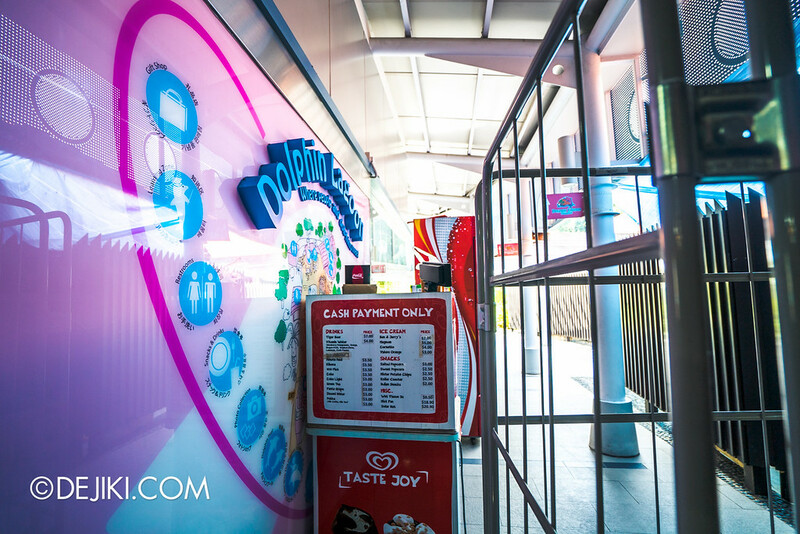 The place had a few refurbishments and revamps over the years, but nothing really major. 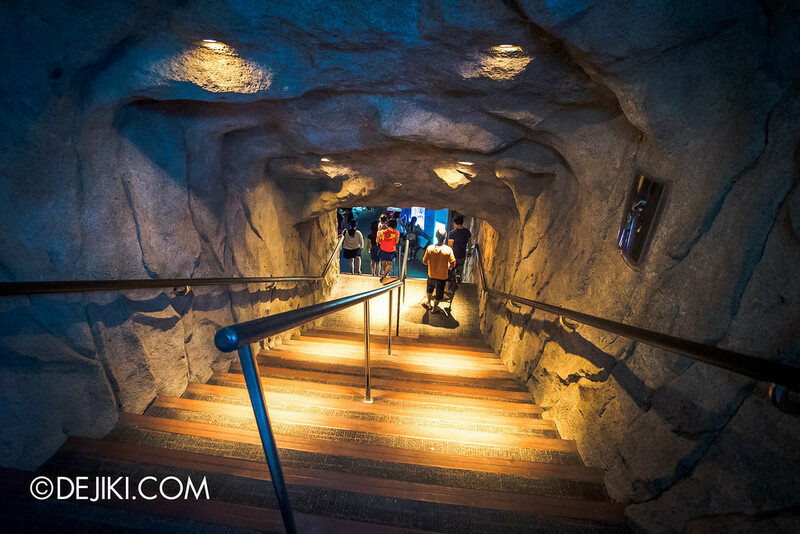 Many of the sights seemed familiar – what do you think? 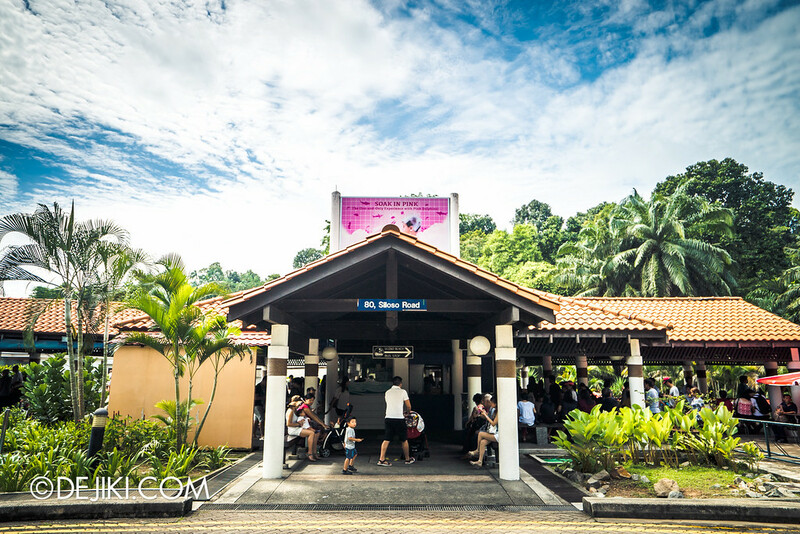 The whole place definitely had a nostalgic feel. 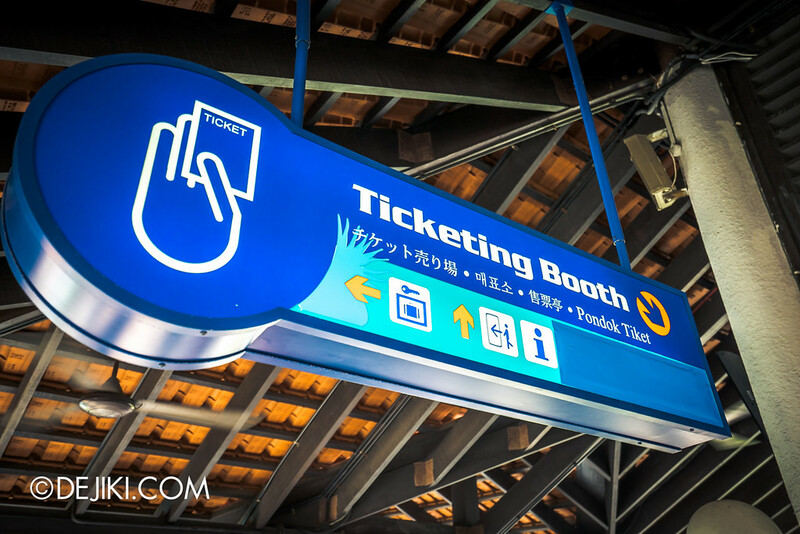 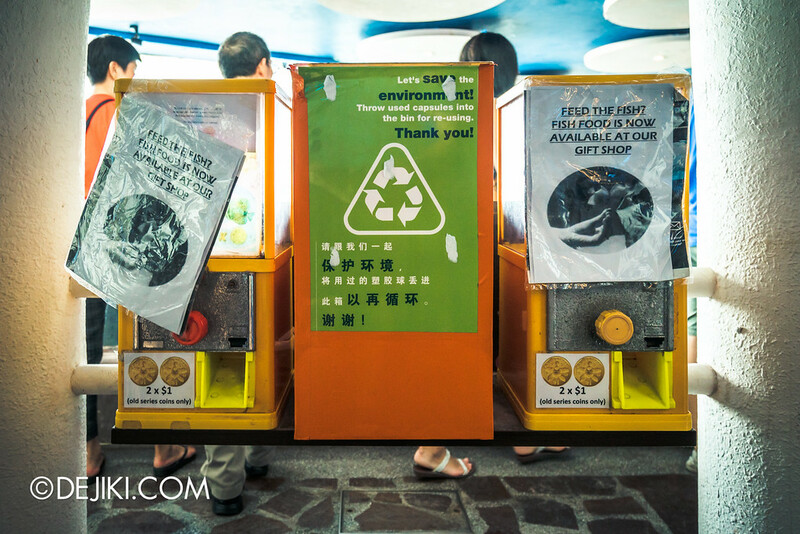 Faded displays, old-school exhibits, dated graphic design.. 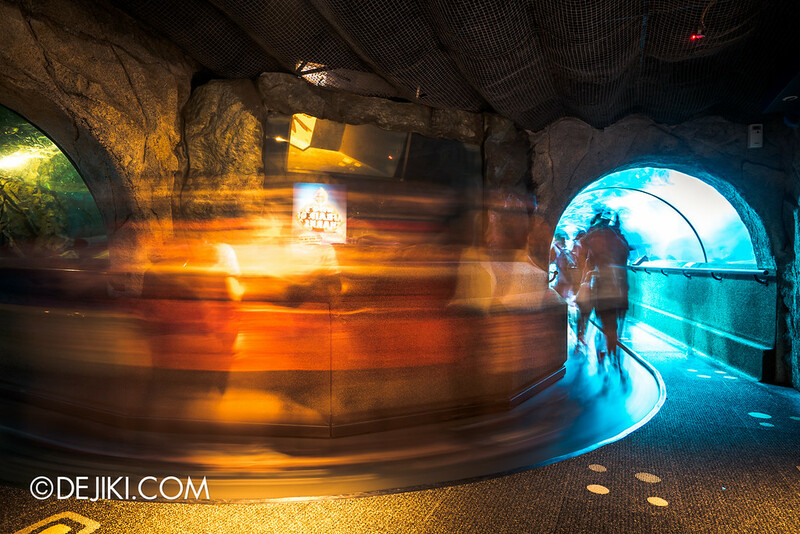 The highlight was still the tunnel. 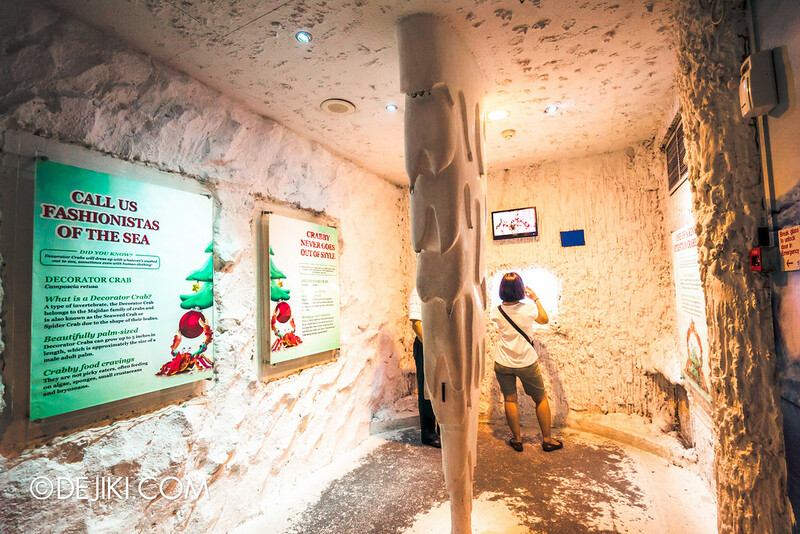 All 83-metres of it. 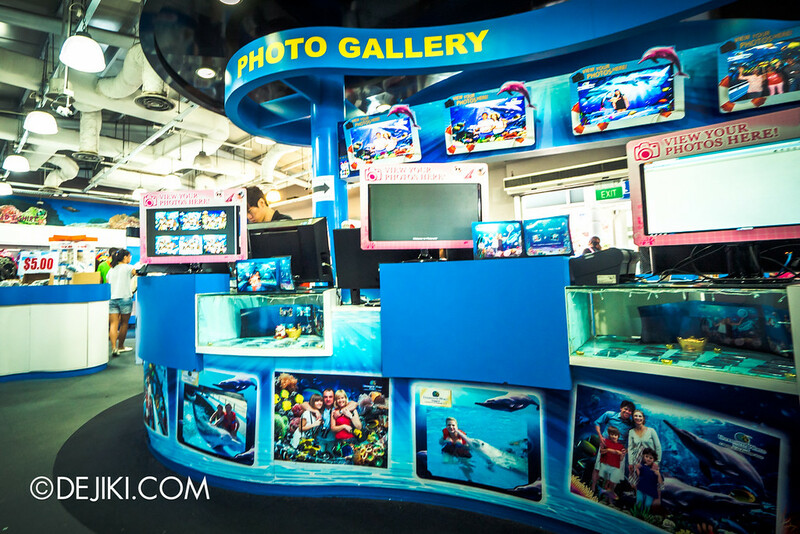 I think the last time I came here, people were still using ‘first-generation’ digital cameras. 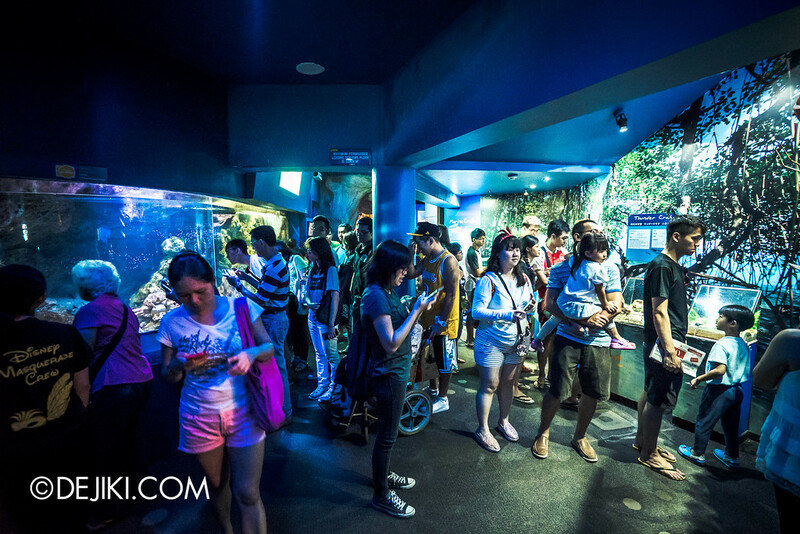 Now everyone’s on their smartphones. 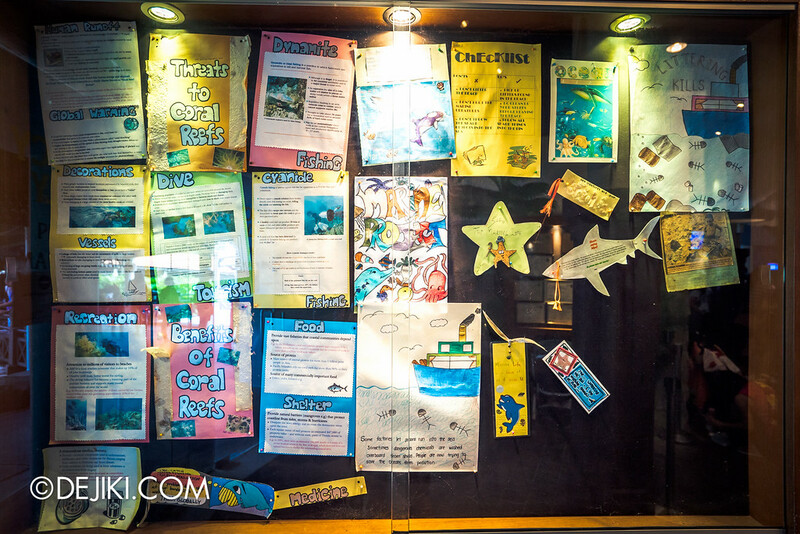 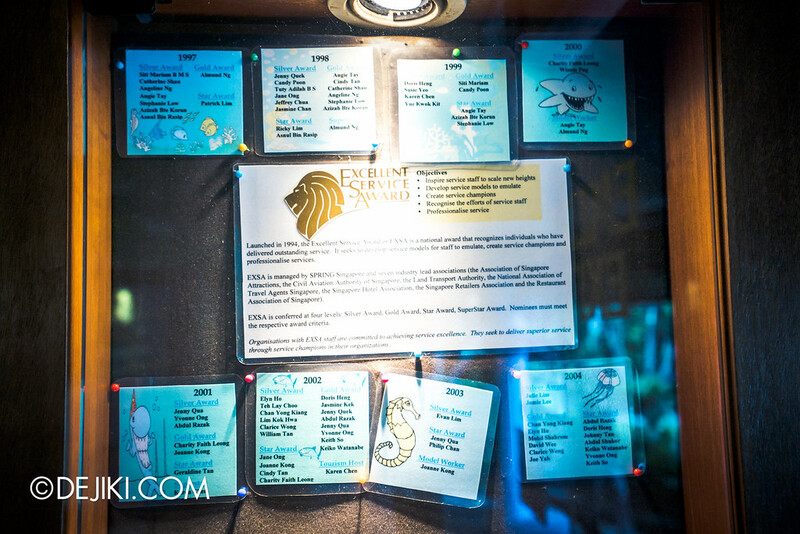 Random points of interest: Underwater World’s Excellence Awards and other notes being pinned up near the entrance. 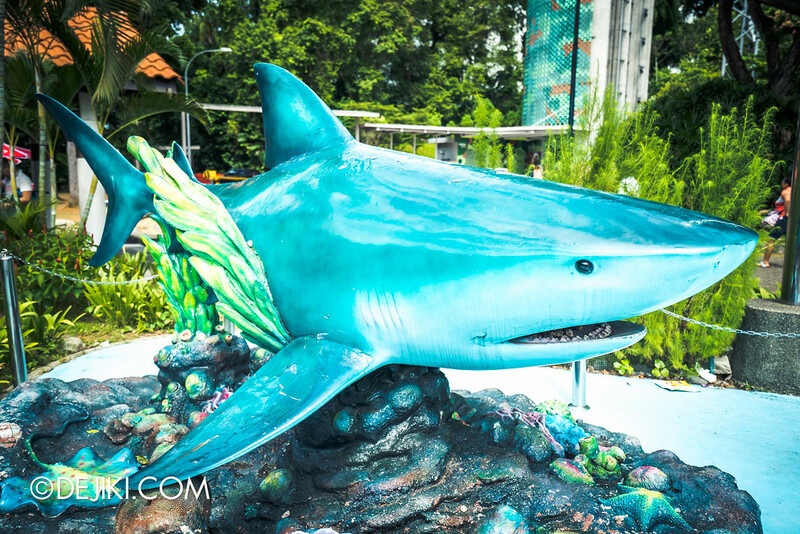 Dolphin Lagoon was closed much earlier. 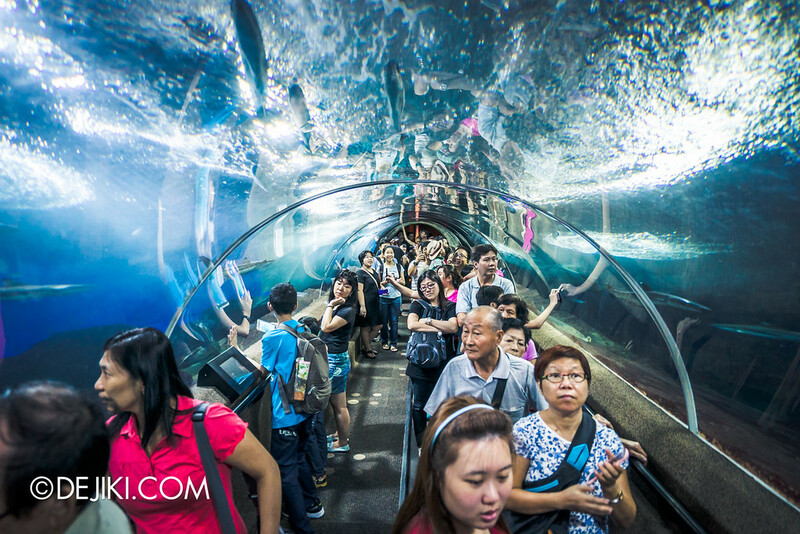 The controversial pink dolphins were transferred to Chimelong Ocean Kingdom in May. 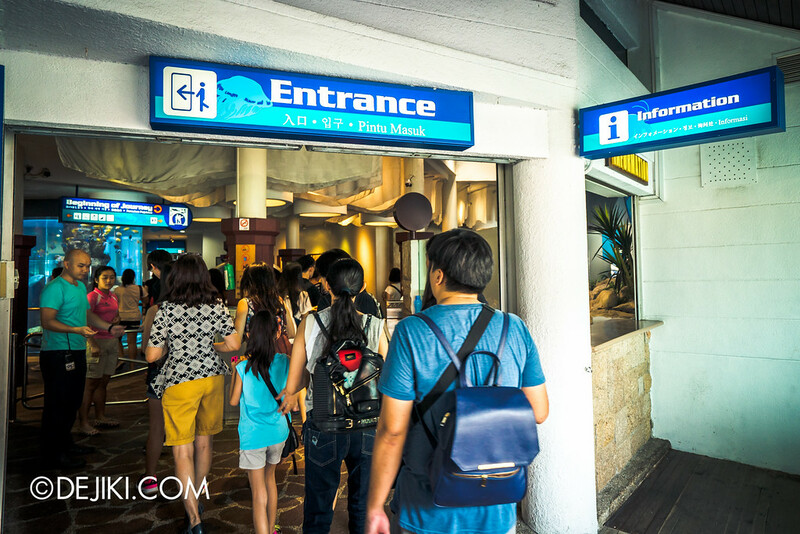 The attraction’s exit shop was quite… sad. 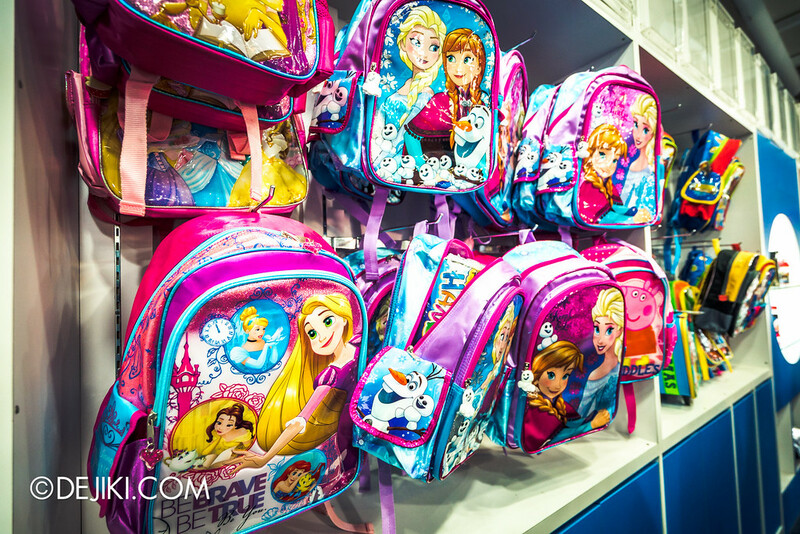 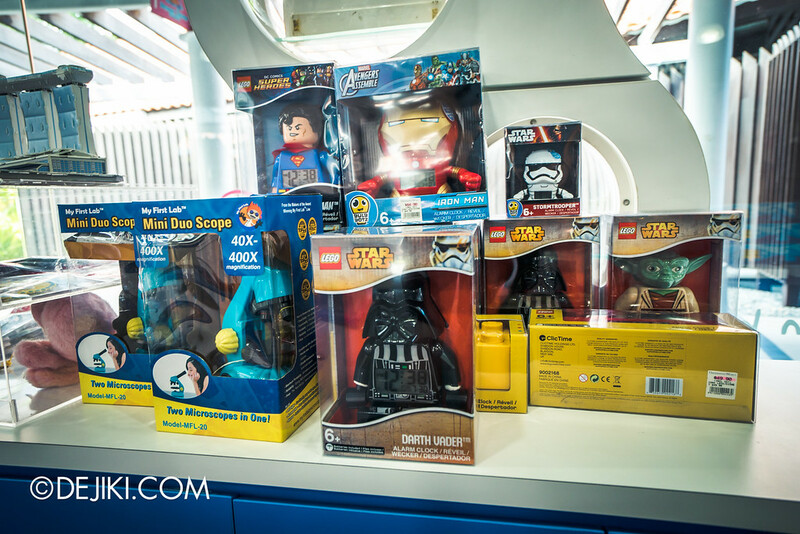 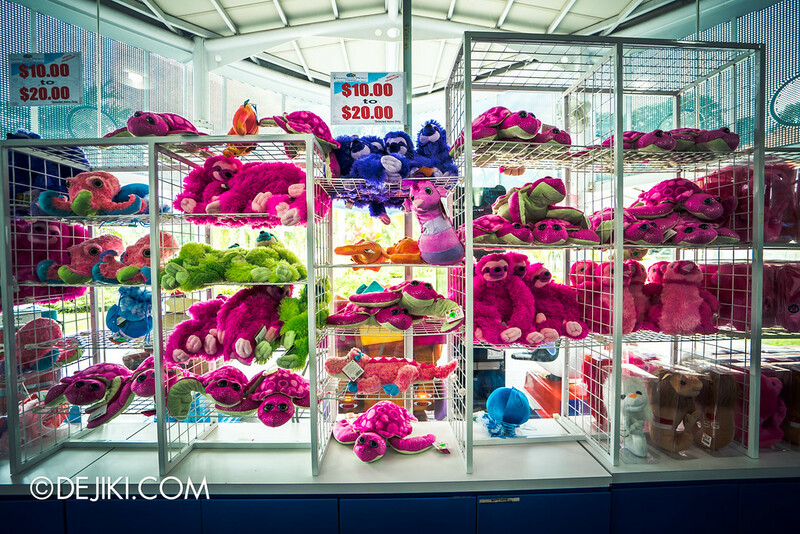 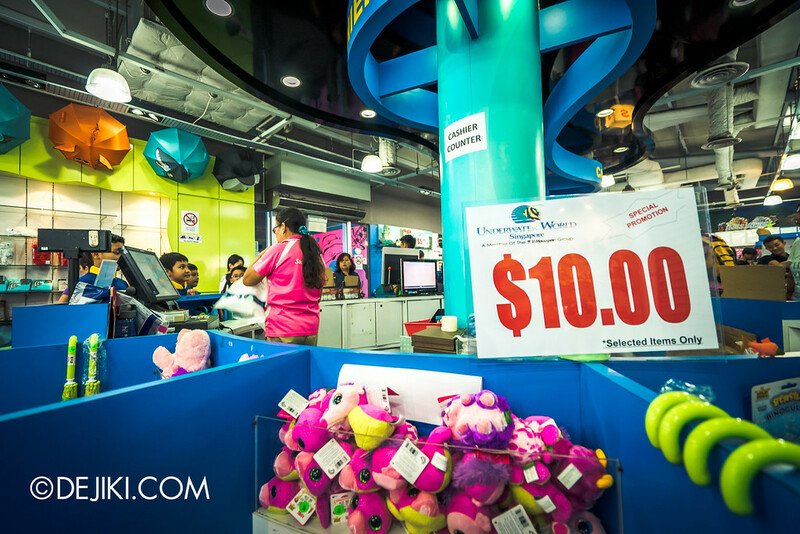 Lots of random items, and a lot of ‘Disney’ products – I hope they’re all licensed.